Yankees, Rebels, Pirates and Patriots: A true accounting of events at Florida Lighthouses during the War of Yankee Aggression. Both sides fought for possession of the towers and their valuable lenses and lamp oil. In the end, 14 Florida lights were damaged and it took more than six years after the war’s end before all the lights were restored. 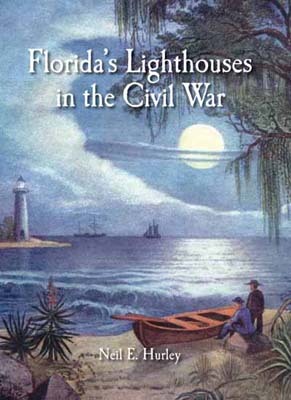 Florida’s premier Lighthouse Historian sets the record straight in this fascinating account of wartime activities at each of the State’s 21 Civil War lighthouse. This book is lavishly illustrated with over 200 color and black & white drawings, photographs and maps.